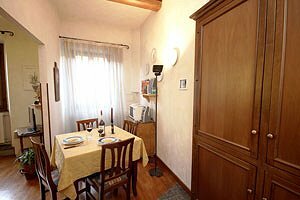 Our agency specialised in renting holiday apartments and villas in Florence presents a wide choice of apartments in the historical centre of the Tuscan capital city (apartments offering a panoramic view of Florence glories, budget apartments and luxury apartments). Visit our website: you will certainly find the right accommodation for your holidays in Florence. Today the Uffizi gallery is one of the most famous and visited museums in the world. The gallery housing masterpieces ond Italian and foreign painting and sculpture was created in the 16th century by Cosimo I Medici. The Uffizi gallery is in the heart of Florence historical centre, close to Ponte Vecchio and to the Porcellino market; Piazza della Signoria and Via Calzaiuoli connect it to Piazza del Duomo. 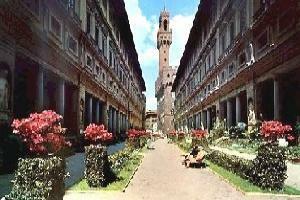 Rent one of the apartments close to the Uffizi we have selected for you in this page for your holidays in Florence.